Housing providers, like landlords and property managers, are responsible for providing their tenants with a safe and livable home. Most states refer to the exchange of rent for a safe, livable home between a landlord and tenant as the implied warranty of habitability. Nolo’s legal team explains that the term implied warranty of habitability comes from local building codes and state statutes that specify minimum requirements for essential services such as heat, water, and plumbing. Additionally, your state laws will define terms in which a tenant can withhold rent or attempt to fix an issue if the property does not meet the warranty standards. Every landlord should check with their state laws about the exact ways in which they are expected to meet the implied warranty of habitability requirements. 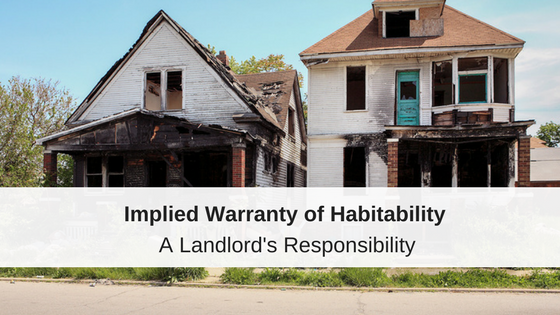 Some state statutes will specifically use the term “implied warranty of habitability” while others refer to the idea under landlord responsibilities and use terms like “fit for human habitation” or “fit for occupation by human beings”. Oregon law further stipulates that if an Oregon landlord fails to provide essential services (water, heat, etc.) a tenant may withhold rent under Or. Rev. Stat. § 90.365. While most states define specific requirements for their landlords to follow, other states do not define any implied warranty conditions for a landlord-tenant relationship. For instance, in Arkansas, according to the Arkansas Attorney General, a tenant who rents a residence takes it as is, and the landlord has no further obligation to maintain the premises. The only obligation the landlord has is to meet city building codes. An attorney familiar with landlord-tenant laws in your state will help you defer any ambiguity in the legal code when it comes to your duty as a housing provider. If you are wondering what the implied warranty of habitability requirements are for your state, landlord.com put together a list of the state habitability statutes and possible tenant remedies as defined by state landlord-tenant laws. This warranty is controversial. Supporters argue that it protects poor tenants from abusive landlords. Detractors argue that it drives up housing prices, encourages landlords to abandon old buildings, and turns landlords into public utilities, explains Cornell University. One thing that is common among most states is the prohibition of retaliation by a landlord if a tenant reports the property as uninhabitable. Examples of landlord retaliation could be ending a tenancy, refusing to renew a lease, raising the rent, decreasing essential items or services (like water or heat), or threatening or filing an eviction illegal if the tenant complains in good faith to a governmental enforcement agency about a violation of a building, housing, or health code that affects health or safety. Landlord retaliation is illegal. Kaycee (Wegener) Miller manages marketing and media relations for Rentec Direct, bringing a unique perspective to the world of property management and proudly shares industry news, products, and trends within the community. Kaycee, thanks for the valuable info, I have a new issue that probably has not been addressed but I’d like to get your opinion. We live in So. Calif and were evacuated for the Holy fire. As a result of the fire our tract is now subject to future evacuations due to the threat of mud slides. The Fire and City representatives believe this risk will continue until the forest is re-grown they estimate to be about 4 years. At the time we signed the lease the risk of future evacuations was not a consideration. After the first evacuation we’re ready to find a new place in a safer environment. Obviously this isn’t the landlord’s fault, but our safety and peace-of-mind are now an issue. 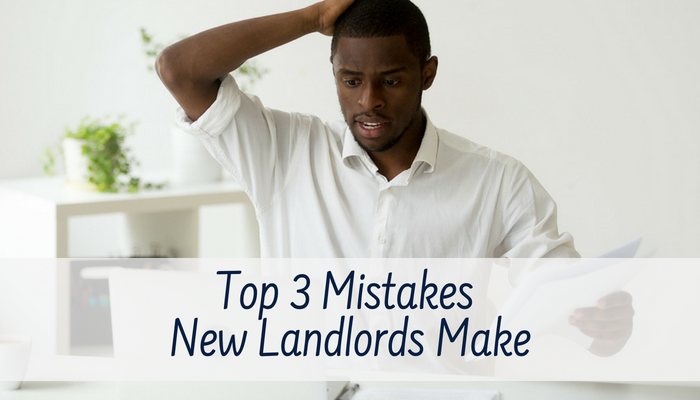 Do these risks rise to a level that would allow us to break the lease without penalty? Thanks. I live in Fl and our AC has been broken for a week now. We told the Landlord 3 times over the last couple months how the AC wasn’t working properly and we were sweating at night so to no air flow and then the unit constantly freezing. It’s in the 80’s here and I’m 6months pregnant. I’m gettig very frustrated because she keeps shopping around and complaining about cost yet we have paid rent every month on time and even drive it to her which is 25 min away. What can we do? I’m worried I’ll end up in the hospital because the heat is making me hot and puffy and my blood pressure go up. She knows I’m pregnant too. We can’t affors a hotel since we have already paid rent and I don’t think we should have to pay for a hotel since we already paid to live here. Hi Kaycee, our rental unit was destroyed by wildfire in Paradise, Ca, landlord told us she is not giving us back deposit or prorated rent. What are our options. Thank you. Good luck! Sending positive thoughts to you and your community.